The good news is heartworm disease is not as common in Colorado as it is in the Midwest or the South. But yes, your dog can still get it here, particularly if you and your dog visit rural areas or travel to states like Kansas or Oklahoma. Colorado families also are awesome about adopting out-of-state dogs. Some of these dogs have heartworm, bringing it in from parts of the country where it’s more common. When you bring your dog into our Castle Rock veterinary clinic, we can run a heartworm test to look for signs of adult worms. If your dog’s initial test is positive, we’ll send your dog’s test to a specialty lab for deeper analysis, so you can get a better picture. How long does it take for dogs to show heartworm symptoms? Dogs get heartworm through mosquito bites, but heartworm symptoms don’t appear right away. Rather, the heartworm larvae go through a lifecycle in your furry friend. 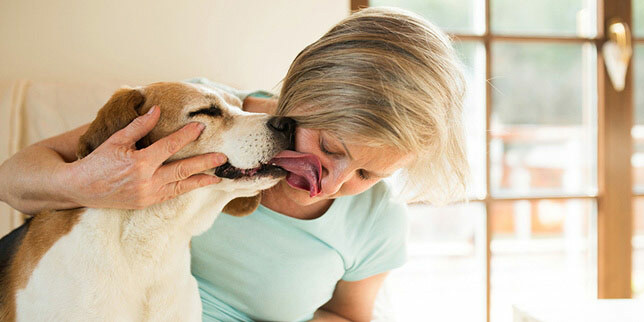 Most dogs begin to show clinical signs of heartworm disease within six to eight months of the mosquito bite. Some dogs can live for several years before the disease becomes life threatening. Heartworms can grow long enough to cross your dog’s heart valves and cause heart failure. They also can cause severe damage to your dog’s lungs and arteries. But if you have a heartworm-positive dog, your dog may be putting other dogs at risk through mosquito bite transmission. Can humans get heartworms from their dogs? Can cats get them from dogs? No, people can’t get heartworm from an infected dog. While cats can get heartworm, it’s more rare and it wouldn’t be directly from your dog. They’d get it through a mosquito bite. Adult cats are not the ideal hosts for heartworms, so their bodies typically take care of the worms. If you have a kitten, there are some preventive measures that can be taken to protect your kitty. What if I don’t give my dog heartworm prevention meds? You may be fortunate, and your dog may never have an issue. Your dog is at risk, though. How do I prevent heartworm disease in my dog? A monthly, chewable medication that kills the immature larvae that are migrating through your dog’s body. Most dogs like the taste of these chewable tablets. 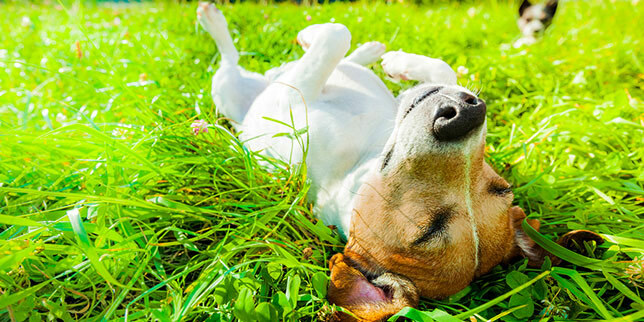 Topical medications you can apply to your dog as a mosquito repellant. They’re a good secondary prevention method, and they may be worth looking into if your dog is traveling to the South or the Midwest. However, we don’t recommend using them as the only form of protection. Are much less expensive than heartworm treatment. Aren’t as strong as the drugs used to treat heartworm disease. Help protect your dog’s arteries, lungs and heart from severe damage. Typically, our veterinarians recommend keeping your dog on heartworm prevention year-round. It protects your dog, particularly when mosquitoes hatch on those warm winter days above 60 degrees. It makes it easier to remember. And there are often financial rebates for buying more at one time. The companies that make heartworm prevention medicine suggest having your dog tested for heartworm every two years to make sure the medicine is working properly. If you don’t give your dog heartworm prevention year-round, we’ll run a heartworm test during your dog’s annual exam to make sure he or she didn’t pick up the worm during the off-months. We want to help you keep your pup happy and healthy!